Digsby Password Recovery - instantly find and decrypt your Digsby password! Password Recovery for Digsby is a tool that will find and decrypt Digsby account passwords stored on your computer. This Digsby password recovery tool works if you are able to login to your Digsby account without entering your password (saved password checkbox ticked). Recovery from external Digsby user data files is also possible (explained lower on this page) which means you can copy the profile data from another computer or from a crashed hard drive and rip Digsby passwords from it. All you need to do to recover your saved Digsby password is to download Password Recovery for Digsby, install it and click on the Recover Password button. You should see the default Digsby logon screen. Type in your required Digsby username. Click on the Sign In button if you see the Password field automatically pre-filled. If the password was not automatically pre-filled then your Digsby password is not saved on the system. So if you managed to successfully sign-in then your Digsby password can be recovered using our tool. It's time to change your Digsby password once you have reminded yourself what it is. Don't make your new Digsby password too simple otherwise it will be easy for the hackers to guess! 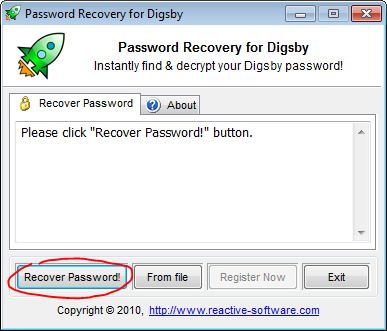 Password Recovery for Digsby is able to extract passwords from the user profile files that you have copied from another computer or a crashed hard drive. You will need to find the data file on the external hard drive and copy it to the machine where Password Recovery for Digsby is installed in order to restore Digsby passwords. Select the copied file in the new Open File dialog box that popped up on the screen to reveal Digsby passwords. Both Windows Vista and Windows 7 run programs with minimal user rights by default. 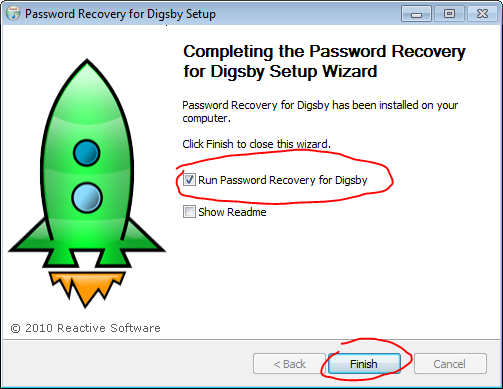 If you need to recover passwords saved by Digsby under other Windows user accounts, you need to launch Password Recovery for Digsby with the Administrator rights. 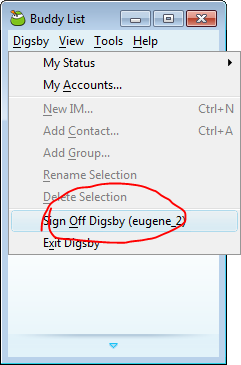 To do this, right-click on the Password Recovery for Digsby icon on your Desktop and select Run as administrator. Click Yes if the User Account Control pop-up window asks you a question. 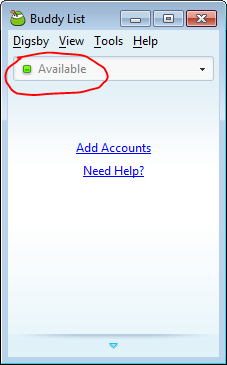 Click Recover Password button in the recovery screen to find Digsby passwords from all Windows user accounts.